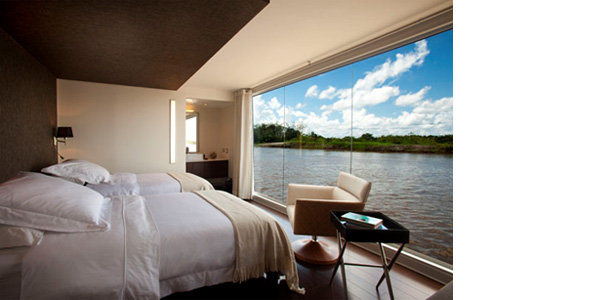 Venture deep into the Amazon Jungle in search of elusive wildlife on board one of the world's most luxurious small ships - the Aria. Sixteen 250-square-foot luxury suites feature en-suite sitting areas, private bathroom and shower and floor-to-ceiling windows that frame nature at its most exotic. 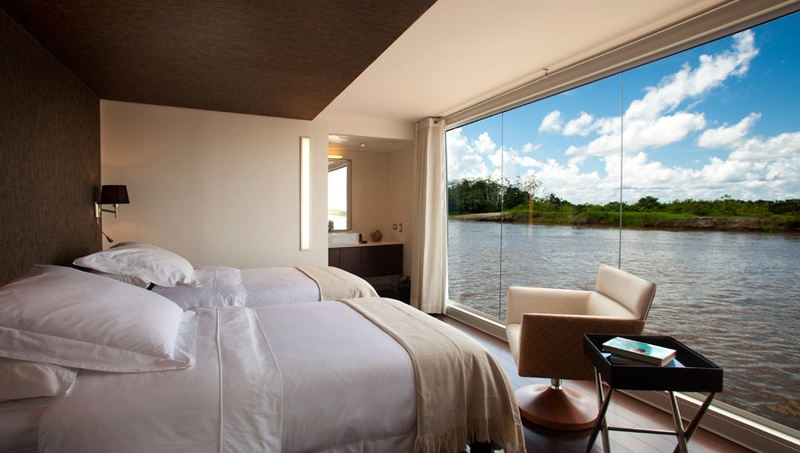 Deluxe beds with fine Peruvian linens. European-style duvets. Choice of bed configuration. Nightly turn-down service. Bedside tables with reading lamps. Hair dryer. Premium bath amenities. Easy under-bed luggage storage. Alarm clock. Internal communication system. Complimentary reusable water bottle. In-room safe. Individual climate control. Elegant, contemporary design throughout. Large mirror in bathroom.